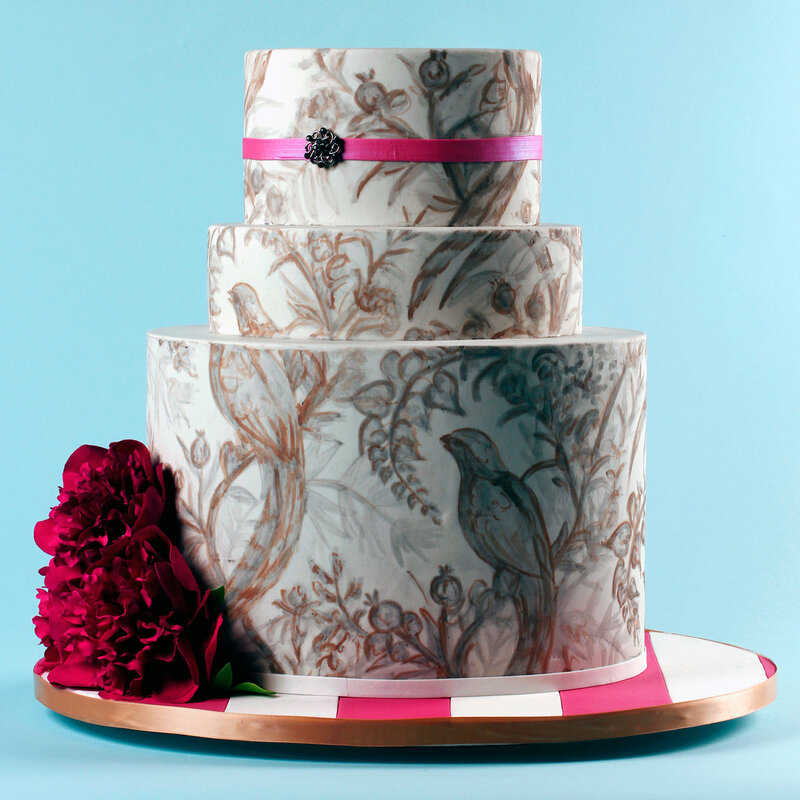 Want A Beautiful Wedding Cake – Without Spending A Fortune? A cake that feeds 125 guests costs an average of $1,000 to $1,500 at my shop, The People’s Cake. 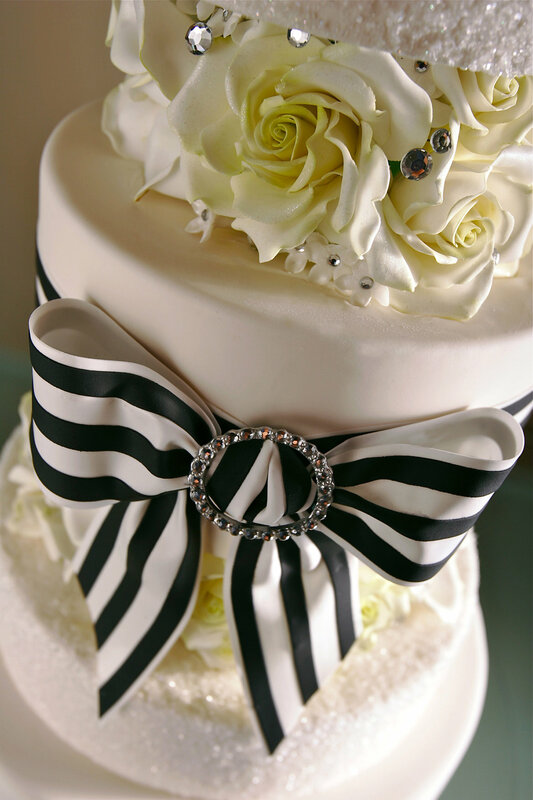 But a wedding cake can cost anywhere from $600 to over $20,000, depending on the amount of detail you would like. Don’t let this discourage you — bakers are full of affordable ideas and money-saving options! 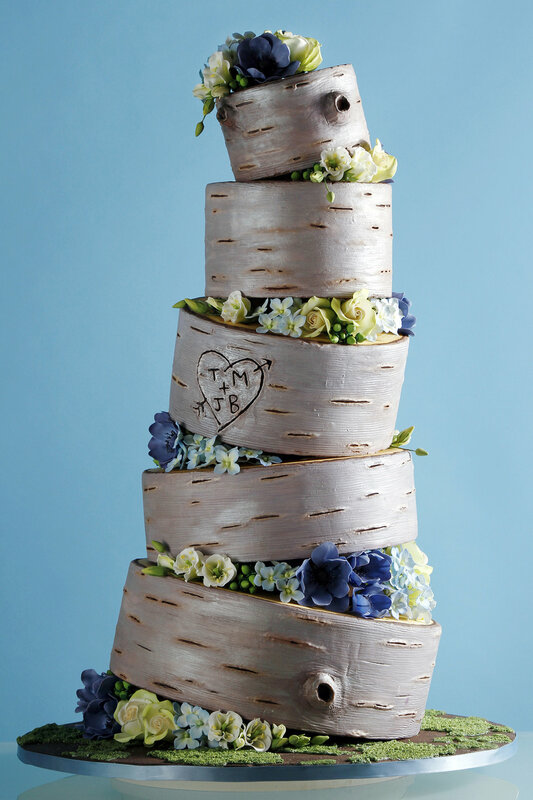 Even if you are working on a budget, you can still get the wedding cake of your dreams. Here are some do’s and don’ts to keep in mind. 1. Be upfront about how much you can afford to spend. Most couples don’t know what their budget is and end up with sticker shock! Or they think that if they tell me, I will go either right up to that number or surpass it regardless of the design we agreed on. Keep in mind that the baker is on your side and wants to give you the best cake they possibly can. In my experience, bakers like to have a ballpark number so that we can take all the elements that you want and find what will work within your price range. I am better able to manage expectations if I know in advance that there is a “scary number” that you don’t want to hit. 2. 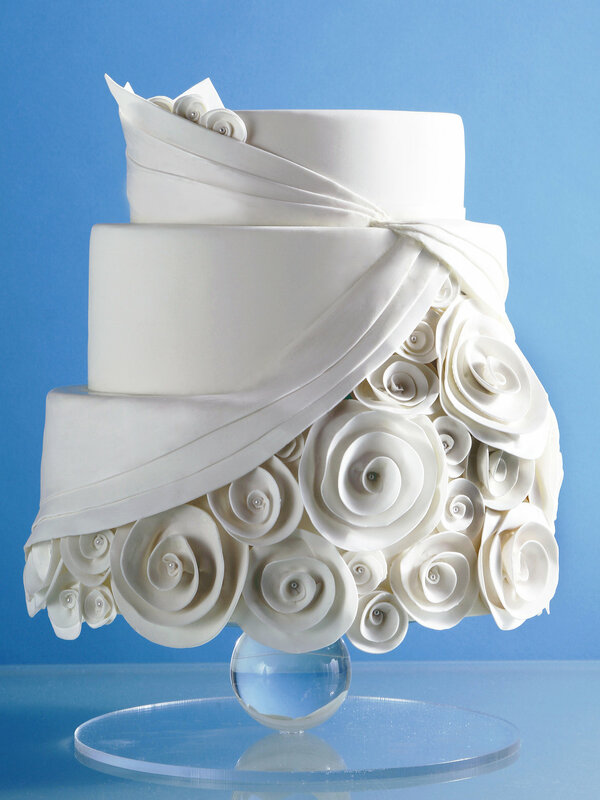 Find out what the average price for a wedding cake is in your area. This research will help you come up with a realistic budget. Most bakeries will list their minimum charge per slice on their website. (Be aware that decorations will drive up this cost.) You could also email a photo of a cake that you like to local bakeries and ask for a quote before coming in for a tasting. If you’re getting married in a big city, prices are usually higher than more residential or rural areas. 3. Be flexible. Most bakeries will quote you a price depending on how many man-hours it will take to make it. Avoid lots of labor-intensive sugar flowers, hand painting, detailed piping, and sculpted cakes if you’re trying to keep costs down. I recommend using stencils over piping by hand or getting fresh organic flowers instead of sugar flowers. 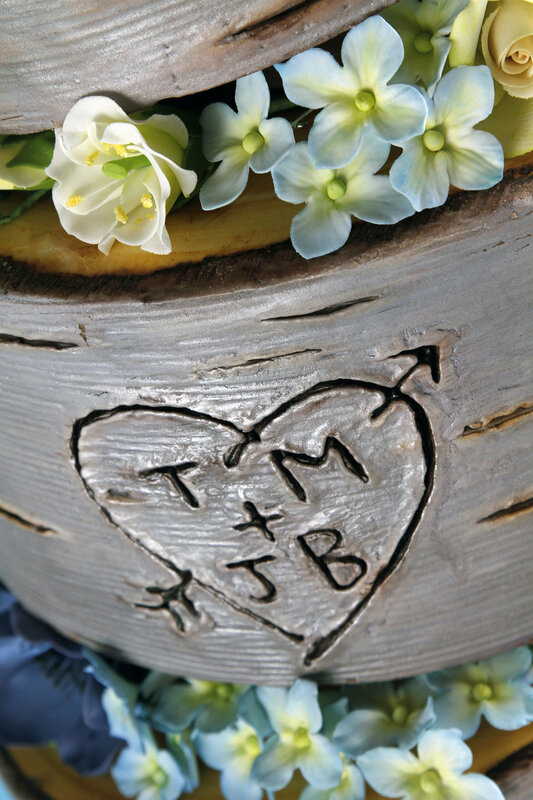 One of the biggest trends right now is laid-back rustic (think chalkboard cakes, naked cakes, and rough iced buttercream or ganache). There isn’t a price difference for these types of designs; however, their simplified look will usually put you at the shop’s minimum price per serving. 4. Choose one bold accent piece on an otherwise simple design. You can still have amazing handwork on your cake even if you’re on a tight budget as long as you limit it. 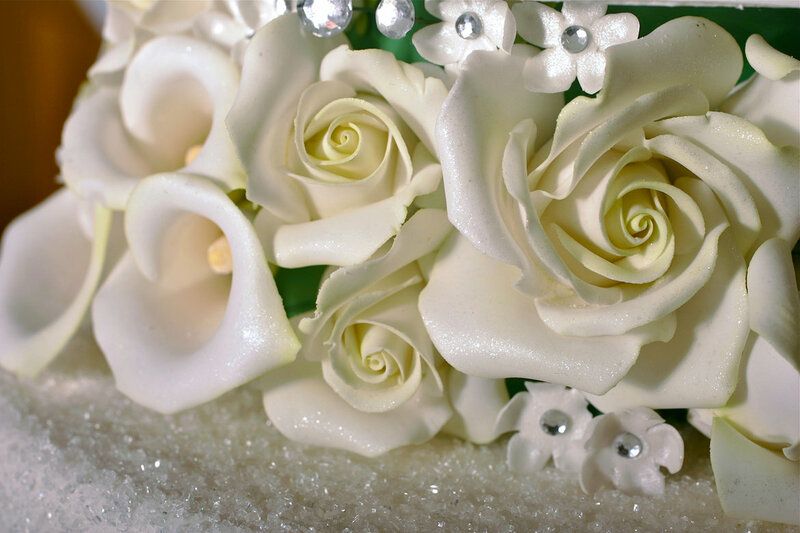 Love sugar flowers? Consider having one oversized bloom or a small cluster of them. Adore lace? 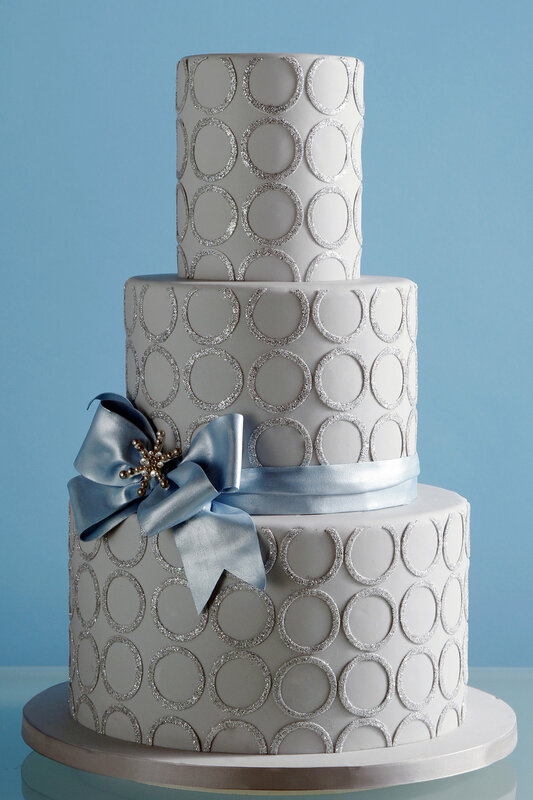 Instead of getting it hand-piped to match your dress perfectly, opt for an edible mat version, which will give you the look you love without breaking the bank. It consists of food-grade silicon that the baker either rolls or spreads the icing onto to make lace or another pattern. Once it sets, it comes out of the mold as edible decorations (think of it as a 3D stencil). Using a mat of stencil takes one or two hours whereas hand-piping can take up to a day. 5. Have a backup. Want to save some serious money? Serve “kitchen cakes,” undecorated sheet cakes, as a supplement to the main decorated one. They can cost half as much, but will still look and taste the same as the original on the plate. For example, let’s say you have 150 servings, and your cake costs $10 per slice, which will come out to $1,500 total. If you go slightly smaller at 100 servings and make the rest kitchen cake (I charge $4 per serving), you’ll save $300. 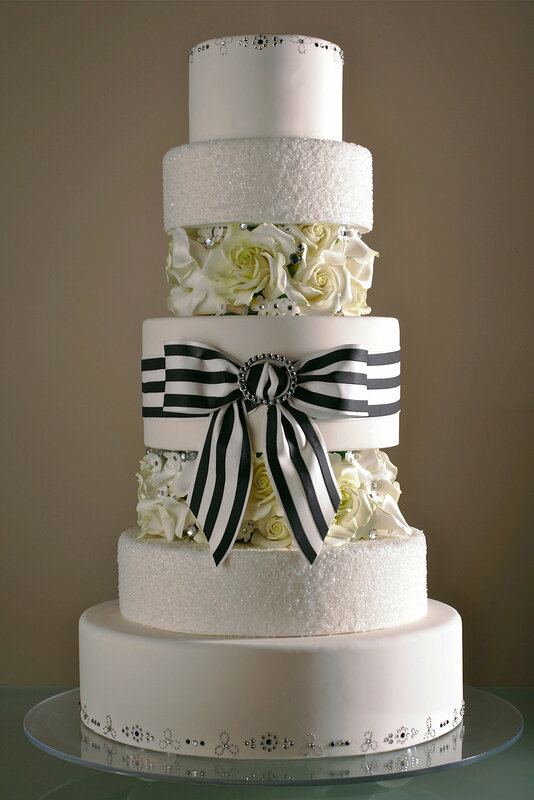 Plus, you’ll still have a stunning confection to display for your reception. Just keep in mind that some bakeries require a minimum order of decorated cake servings (at mine it’s 100) before they can provide kitchen cake. So you can’t order a 50-serving decorated cake with 450 servings of kitchen cake. 6. Fake it. Kitchen cakes are meant to feed more guests for less money. On the flip side, if you want a big, show-stopping masterpiece but you have a smaller guest count, consider foam tiers. While they still cost money because they need to be covered and decorated, they’re much cheaper than purchasing cake tiers. For example, let’s say that you’re having 100 guests (which equates to a four-tier cake), but you want a six-tier design for looks. If you ordered the two additional foam tiers instead of real cake at my shop, you would save $700 and not have all of that extra food lying around. 7. Ask your bakery what their standard slice size is. Bakeries base their serving size on a 1x2x4″ slice size. At The People’s Cake, we base it off of a 1×2.25×4.5″ slice. We have a sample slice made of foam board for clients to see how large the serving is, and it is very generous. If you want to serve larger pieces, then you will need to order more cake. 8. Consider whether your desired flavor or frosting will cost more. At my bakery, we don’t have a price difference between flavors or fillings and buttercream and fondant cakes cost the same as well. However, some bakeries do have premium flavors (usually red velvet, banana, mud cake, etc.) or will charge up to $1 more per serving for fondant, so factor this into your total budget equation if that’s the case. 9. Go for cupcakes! Simple cupcake towers are the most affordable option because you save on decorating fees, as well as cutting and serving fees, since these portable treats are already portioned and ready to go. However, this doesn’t mean you need to sacrifice having a wedding cake entirely. 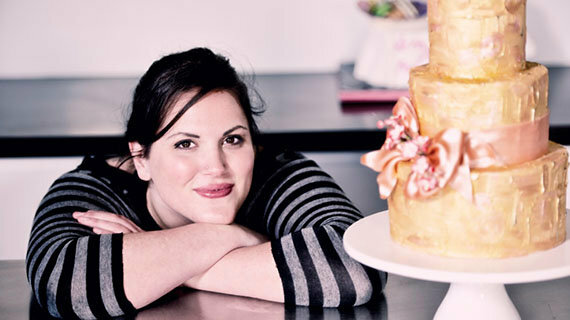 Most brides will still order a small cake or top tier for their cupcake towers. 11. Make your own. I made my wedding cake, and it was stressful and time-consuming. I even had to have my hands scrubbed with bleach and salt to get the red food coloring off them on my wedding day. While it might seem like an easy option to do it yourself, you will spend the four days before your wedding regretting that you didn’t outsource it. I make cakes for a living, and I would NEVER make my own cake again. 13. Push for a discount. Trying to wheel and deal or talk down the price tends only to lead to a frustrated baker. Negotiating is fine, but realize that if you want the cake to cost less, you’re probably going to have to sacrifice something in return. Instead of asking your baker to provide additional decorative elements for free, inquire as to what cost-cutting advice they have for you. Bakers are more than willing to give you different options for different prices. But asking us to give you the same cake for less money is not cool. 14. Pick up the cake yourself. With very few exceptions, let your baker deliver and set up your cake. Once they are out of our hands, we are not responsible for what happens to them on the road. It is a lot of pressure on you or whoever you have asked to pick up and deliver your wedding cake. I had a maid of honor drop the cake after picking it up from the shop. She was so upset that I’m sure it was a major downer for the rest of the day!